Concrete cutting has varied applications and solves many tricky problems around the home. From trimming the backyard patio to smoothing out the garage floor and making way for pipes through concrete or brick walls. 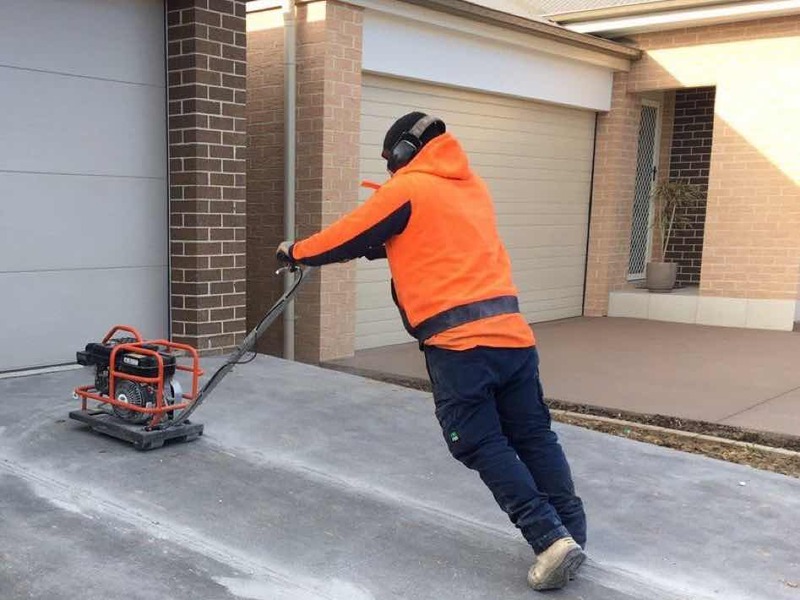 We countdown the top 10 requests for concrete cutting in Sydney by our customers. Invented in the 1860’s for being hard wearing, long lasting and easy to clean, linoleum was a popular floor covering and often glued to a concrete floor. Over 150 years later many people are not wanting a bright orange floor covering in their rumpus room! Removing the lino is often a DIY job but the glue and condition of the concrete floor underneath often needs a little more professional elbow grease. A driveway doesn’t always make sense to go where the kerb and guttering dictates. Apart from the temporary brick or steel ramp to help a vehicle up the gutter, a proper readjustment is required. Cutting through the kerb and gutter to put in a proper driveway often requires a professional concrete cutter. Of course, check with your local council first before requesting any cuts into kerb and guttering! Concrete staircases are often a stop gap measure to make up the difference in levels from the house to the back or front yard. Over time, these are often needing to be removed to make way for a more aesthetic deck or rear patio that run out level from the house. To remove these staircases, which are often fixed to the house, the staircase needs to be sawn off level with the wall they are attached to. This requires a more precision cut, best left to the experts! A concrete ‘plinth’ is a thick concrete base for a brick pillar or wall. Much like a sort of concrete tree, the base of a concrete plinth can be a large and complex object to dig out and remove. 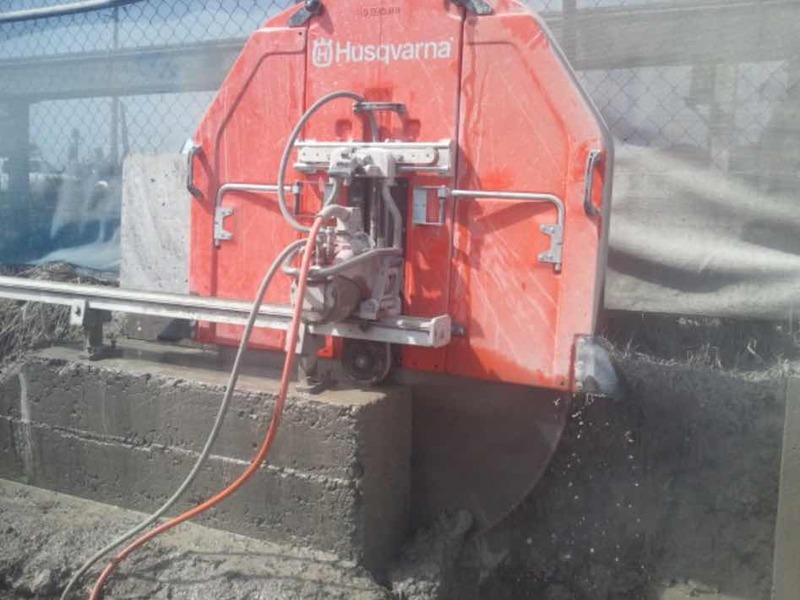 A professional concrete cutter can cut down the stump of the concrete plinth to a low enough level where it does not impact the new construction plans. Inground concrete pools are solid and look great. However, if something goes wrong with the plumbing underneath or you need to relocate the filter box, you have a problem on your hands. Cutting through slabs to expose piping or making new holes for re-routed plumbing is a common backyard concrete cutting task. Concrete sawing can cut channels for accessing existing pipes for removal or replacement. Concrete drilling can make holes for new pipes of all sizes to depths of over 1.5 meters. A popular remodel of the bathroom or laundry can adds value to a home. With many renovations, new placements for wide and narrow plumbing pipes are required in walls, floors and roofs, sometimes at specific angles to avoid penetrating other living spaces. Concrete drilling is a versatile technique to make the necessary holes in concrete, brick or other masonry surfaces. Installing a fence around an existing suspended slab requires precision holes for placing secure and solid fence posts. Even when laying a new slabs it can be more difficult to position fence posts during the laying of the slab rather than cut them in after. Cutting the correct sized hole for fence posts or mounting bolts is a common task of the concrete cutter. There are only so many times that a homeowner can trip over a certain edge of concrete before they finally decide to do something about it! As well as being annoying, it can also be dangerous and can lead to legal issues especially for injuries to tenants in a rental property. Smoothing down the edge between two concrete slabs is a very popular task for a concrete cutter who uses a tungsten grinder to quickly even off the edges. A lot of stormwater drainage issues can be a do-it-yourself activity. That is until you literally hit a brick wall. Water won’t travel uphill! Many times you will need to make a hole for a PVC pipe through a brick or concrete wall. These holes are often required in hard to access trenches. Boring such a hole would exhaust the domestic tools and strength of most of us. Professional concrete cutters can rig a drill to relentlessly grind away a hole through the thickest of walls at any angle to ensure your pipe and the stormwater can flow freely. Backyard patios often need to be trimmed or a slab that protrudes too far after you remodel the back-shed needs cutting back. 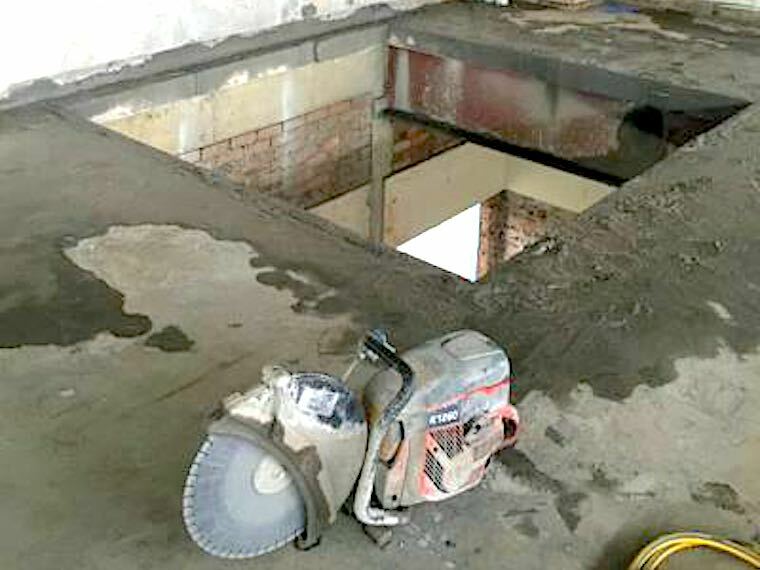 Whether it be 160mm thick or even 500mm thick, a concrete cutter is often called to make use of their powerful concrete saws and top-end diamond tipped cutting blades to cut through cleanly, quickly and safely. One of our most common callout requests is cutting a slab, including reinforcing steel, and is no match for a professional concrete cutter with the right equipment. Garage concrete floors are notorious for being rough, uneven and dirty. It’s not surprising then that this is currently our number one domestic request. A professionally polished garage floor can look great and be easier to clean. It is important though to set your expectations before you commence. Getting the right advice upfront is important before spending lots of money and getting a sub-standard result. Polished concrete needs to be poured correctly, be sealed well and polished to a level that looks good but isn’t too slippery. Plus, that mirror finish you see in better homes and gardens can cost more than its worth! That was our most common domestic concrete cutting requests we receive. However we also do many obscure and varied jobs along with commercial and government work. If you need to cut, remove or shape concrete or any other type of stone or masonry at your place please get in touch.